Creative culinary competition. 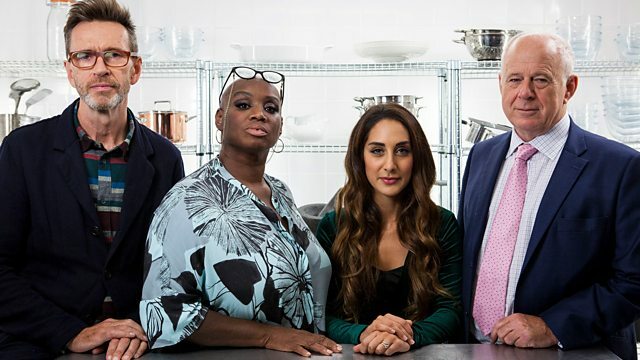 The two remaining chefs cook for Oliver Peyton, Andi Oliver, Matthew Fort and guest judge Dr Sara Kayat, a GP and media figure. It is judging day and the two remaining chefs must impress the panel of Oliver Peyton, Andi Oliver and Matthew Fort. Both chefs are gunning for success and are doing everything they can to deliver their menus to perfection. The panel is joined by guest judge Dr Sara Kayat, a GP and media figure who is passionate about fostering good doctor patient relationships. With so much at stake, emotions run high in the chamber.